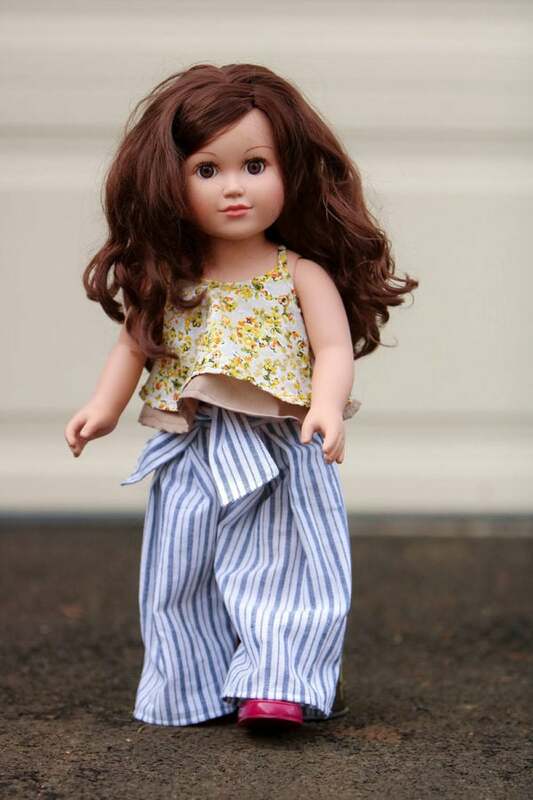 This pleated pants sewing pattern for ladies, children, and 18-inch dolls is comfort, elegance, and pretty practicality combined. 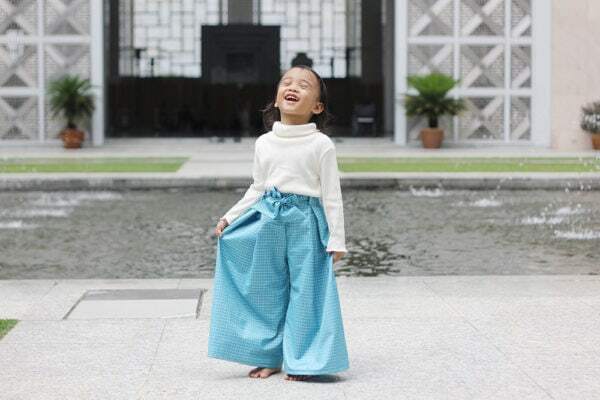 The wide-legged trousers are a beautiful gift for your wardrobe. 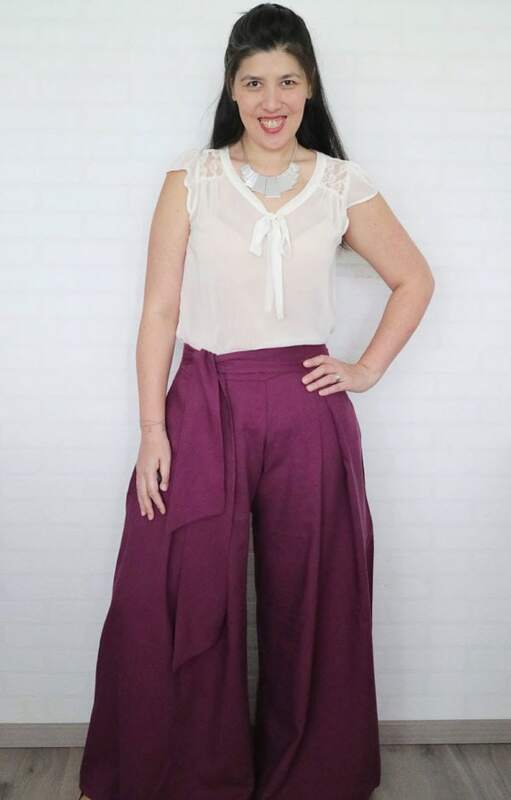 The Posy pants are magnificent with their flattering fit and full, flowy legs. These are a statement-making pair of trousers that you can style fancy, smart, or casual. 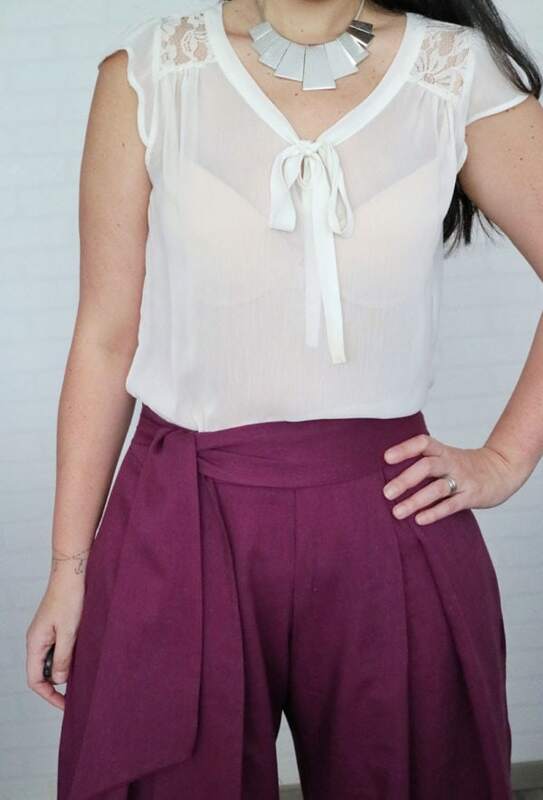 Wear with a pair of heels, a Strappy Cami, and a beautiful Tara tailored jacket and you have a perfect outfit for the office, or a garden wedding. Add a pair of flat sandals, a denim Kingston over a cami, plus a straw hat and you’re picnic-in-the-park ready! Sneakers, a tank top, and a cute head band are street chic. 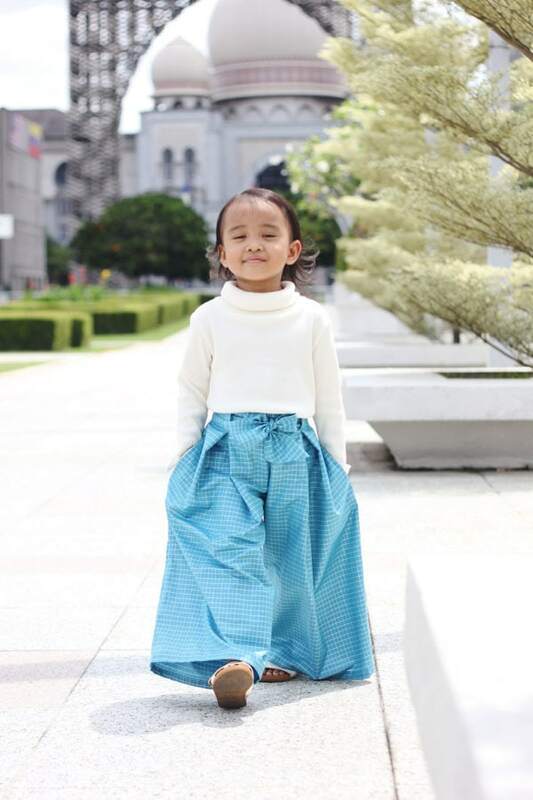 For the girls, these are wonderful for playing and can be dressed up for smart events (like weddings) or down for school. 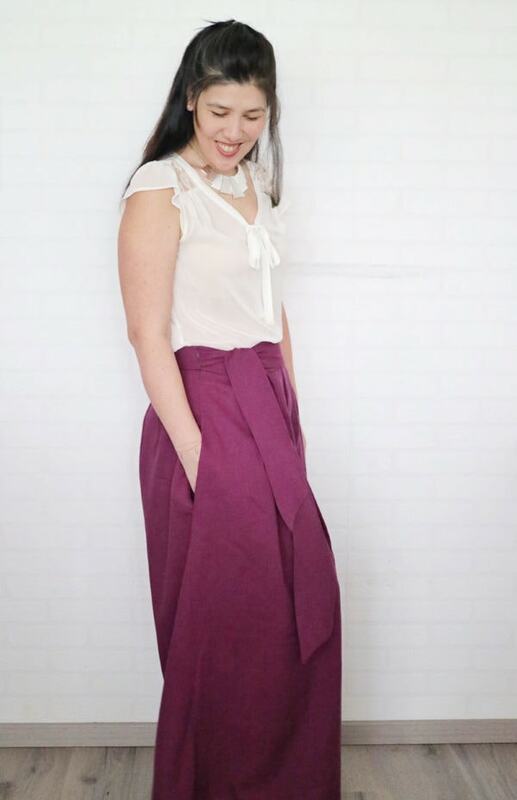 The Posy Pleated Pants are sure to become a firm favorite in your closet! 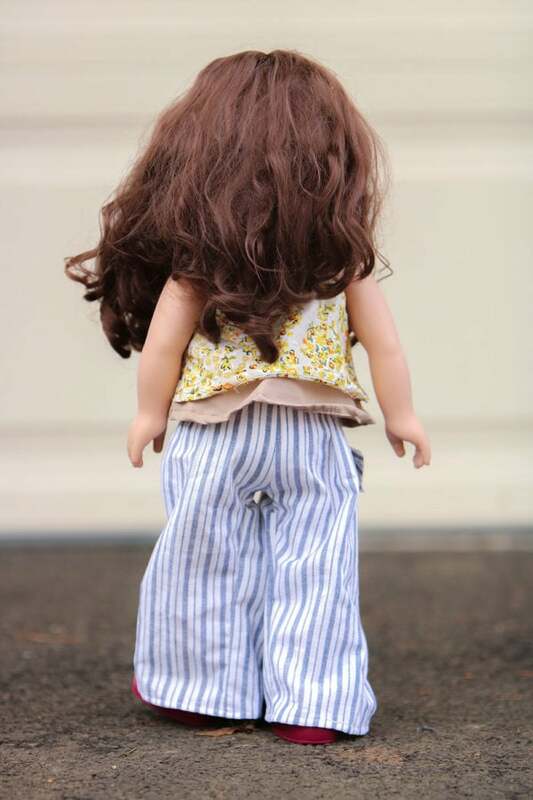 Sizes – Pattern includes ladies’ XXS to 5XL, children’s newborn to 12 years, and 18-inch dolls’ sizing. See the size chart in the gallery above. Options – Optional sash and belt loops, and full or three-quarter length. Fabrics – Suitable for light- to medium-weight wovens with a bit of drape, such as cotton, linen, taffeta, bubble crepe, crepe de chine, and rayon. These trousers are very full and not suited to heavier fabrics that will pull them down and cause the waistband to fit awkwardly. See the fabric requirements in the gallery above for yardage. A serger/ overlocker is optional but NOT required. Support – Please join the Rebecca Page Sewing group should you require any assistance at any point throughout your RP sewing experience. This wonderful community of sewistas is friendly, knowledgeable, and always willing to help! It’s just a happy place to be. You can share photos of your RP sews, enter giveaways, get sales information, and new-release updates. These are my new favorite pants! 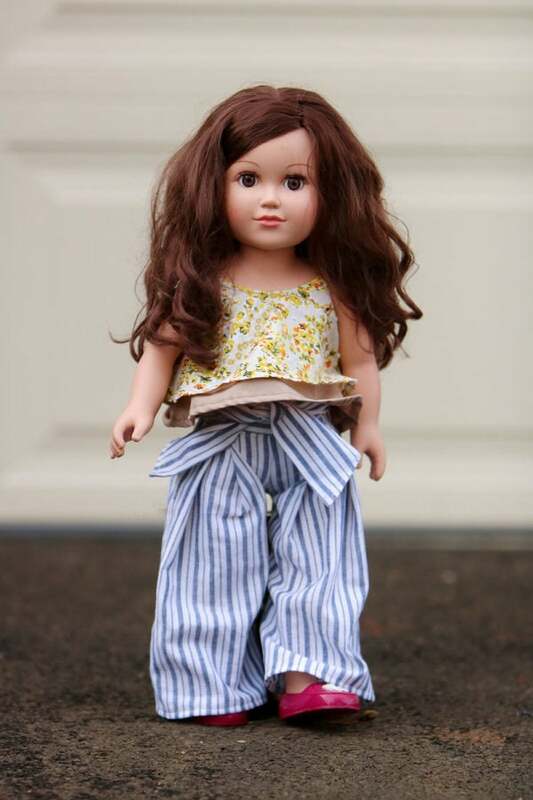 I sewed them up in a day with the easy to follow instructions they came together like a dream! I wear them every, they are so comfortable. Love love love these pants!! These pants are an excellent first trouser pattern, as the fit is very forgiving and the instructions are nice and clear! 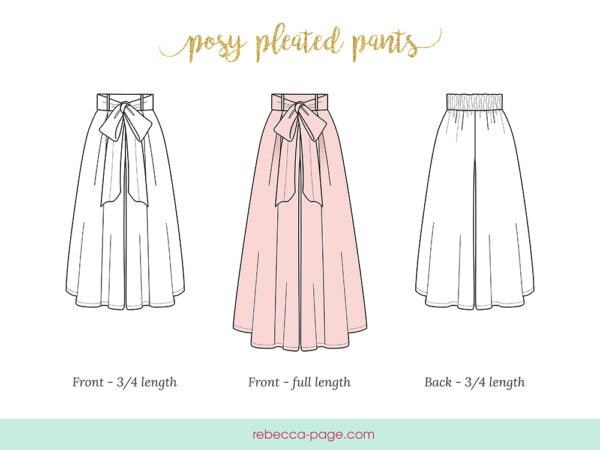 The front pleats are are lovely detail and if you wanted to reduce the fullness of the trousers you could reduce the pleat by a small amount. There are also pockets which is always a plus in my book! I sewed my first pair in a pinstripe polyester, which gave them more volume but they have have sewed up nicely. Lovely thorough instructions with very clear step by step pictures to help and guide you through the pattern. 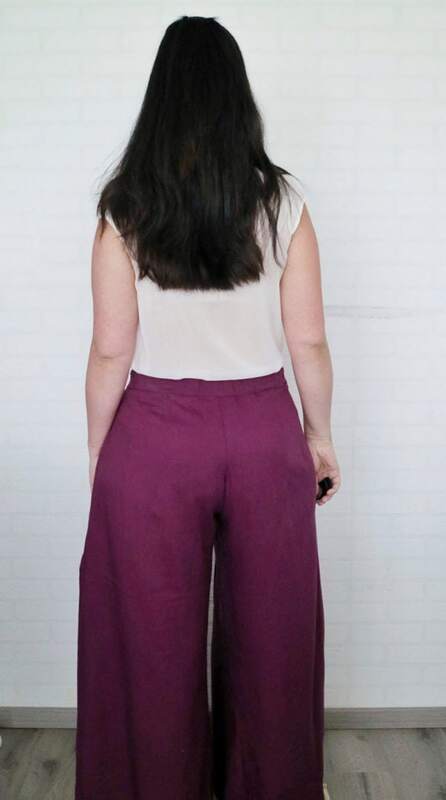 I followed the pattern for my measured size without any adjustments and chose a slippy crepe viscose fabric to work with which resulted in a lovely fluid pair of trousers at the finish. There are clear instructions how to adjust the pattern to get the perfect fit. Ideal make for a beginner. 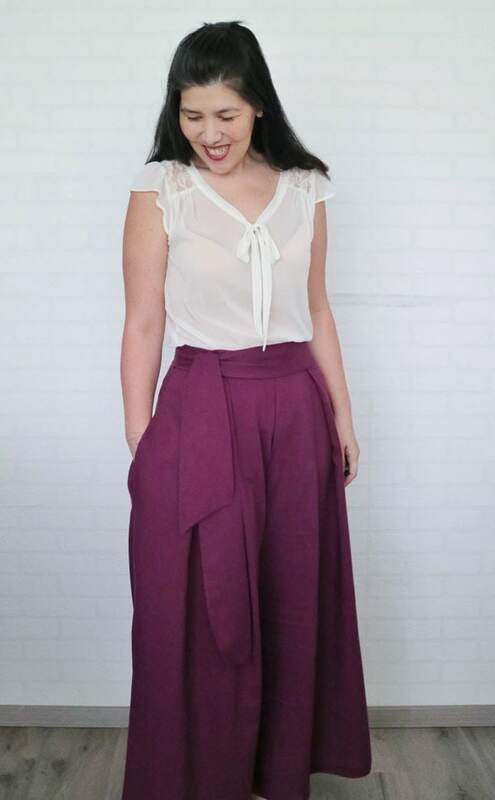 I love box pleats and these pants don’t disappoint! They come together easily and the elastic back waist makes them comfortable, too. 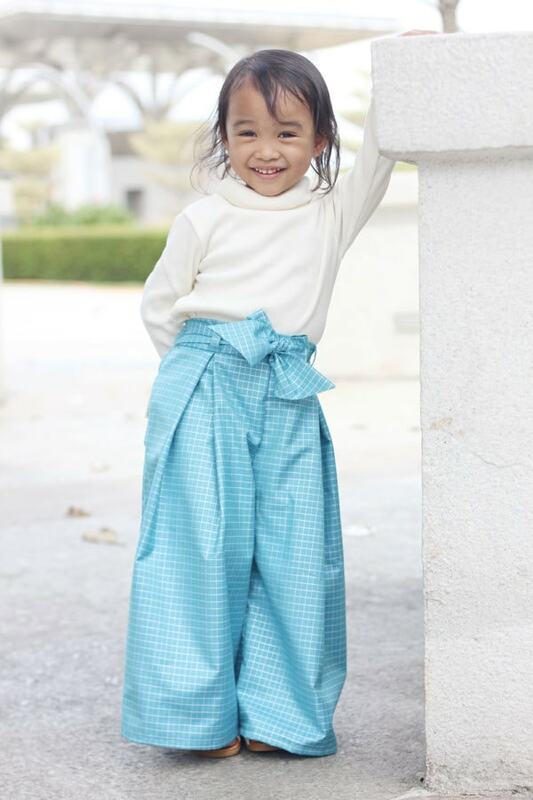 The Posy Pleated Pants are quickly becoming a favorite sew! 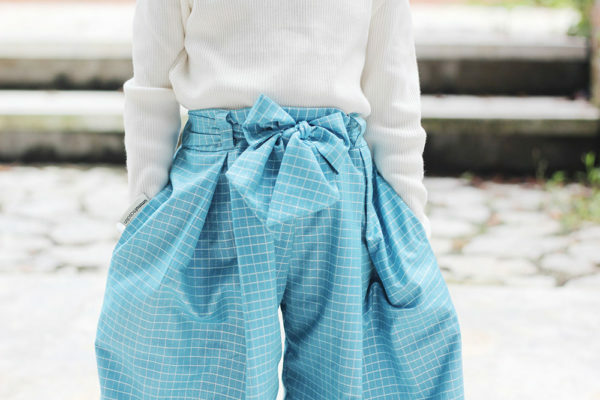 These pants are a snap to sew up, especially with the clear and concise tutorial included. 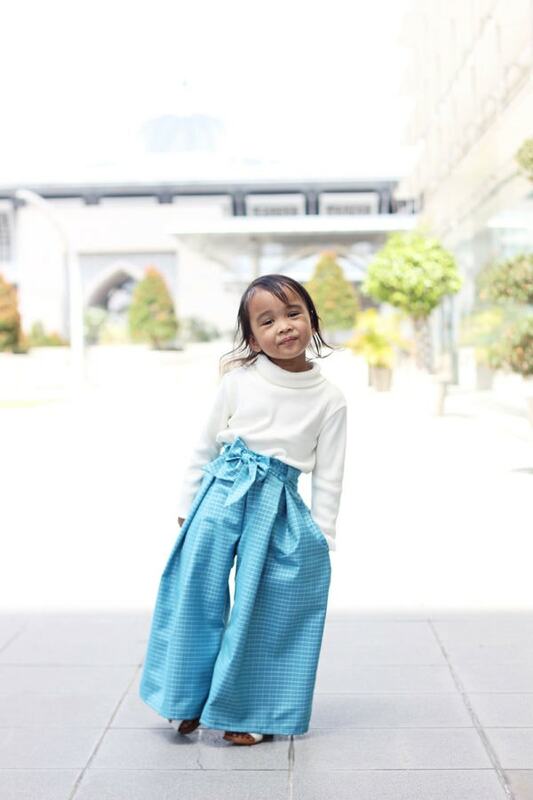 They look clean and polished, even for little girls, and can be dressed up or down depending on the day! I have made both adult and children’s and they look amazing on every body. 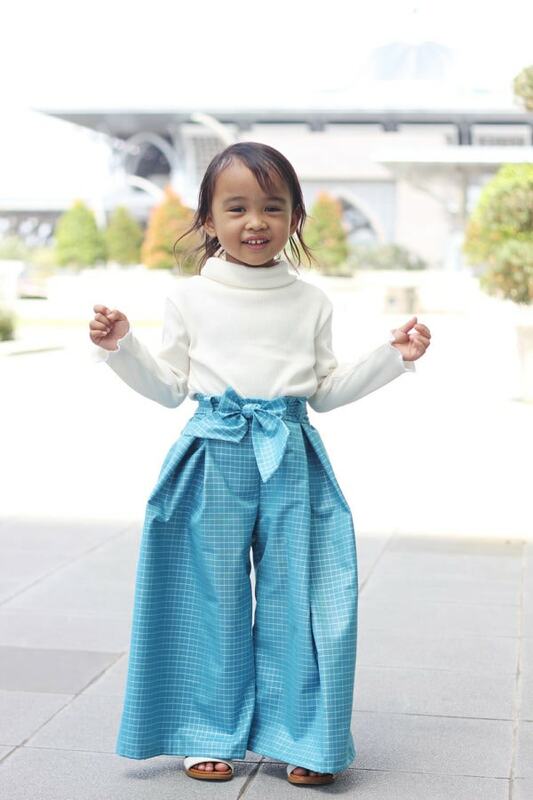 I can’t wait to sew up more of these amazing Posy Pleated Pants! 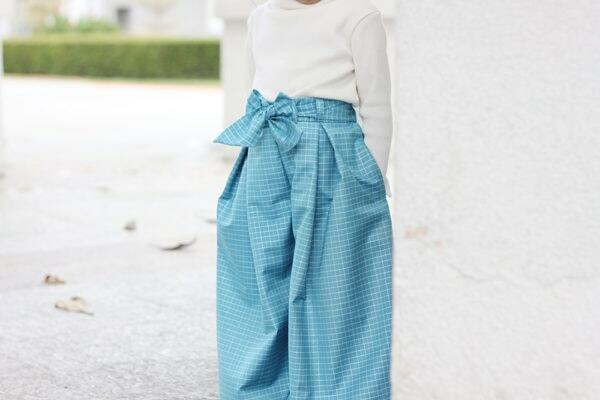 This is by far my favorite trouser pattern for Summer. I’ve already made 2 pairs and there will be more. The pattern is very simple to follow, has great photos and instructions and with the elasticated back it’s so easy to get the fit just right. 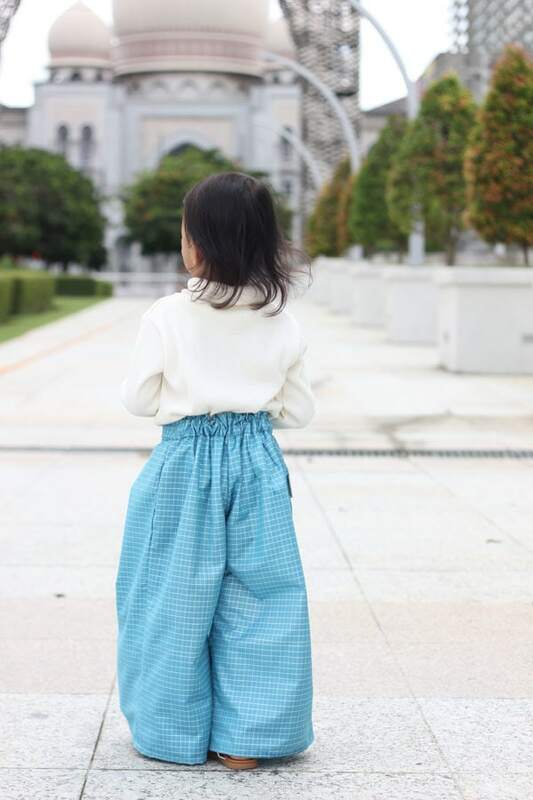 This pattern was an easy sew, but the results are so dramatic and beautiful! The elastic waistband in the back makes it easier to fit than most woven pants, so it’s a great first woven-pant pattern. 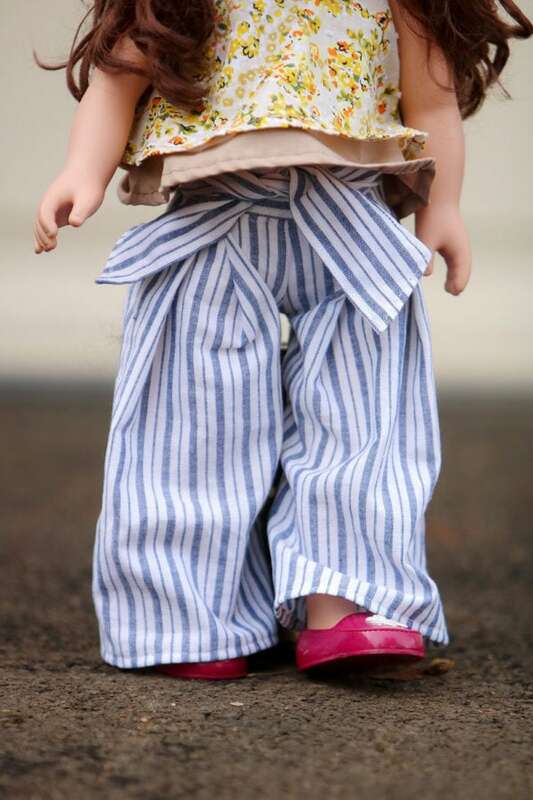 The pleats and darts are probably the hardest part, but the instructions are so clear and detailed with great photographs, so don’t be intimidated! 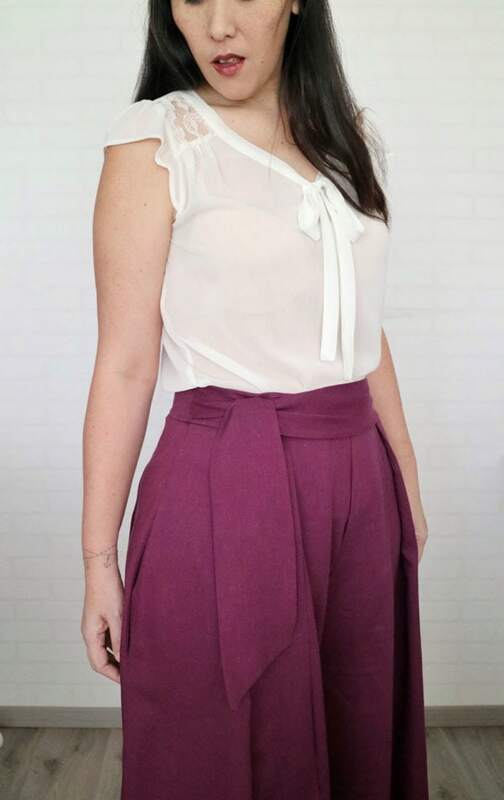 I made my pants in a rayon crepe and they fit beautifully without any pattern alterations. They’re also super comfortable, and flattering to wear. Tag your photos with #rpposypleatedpants on Instagram.